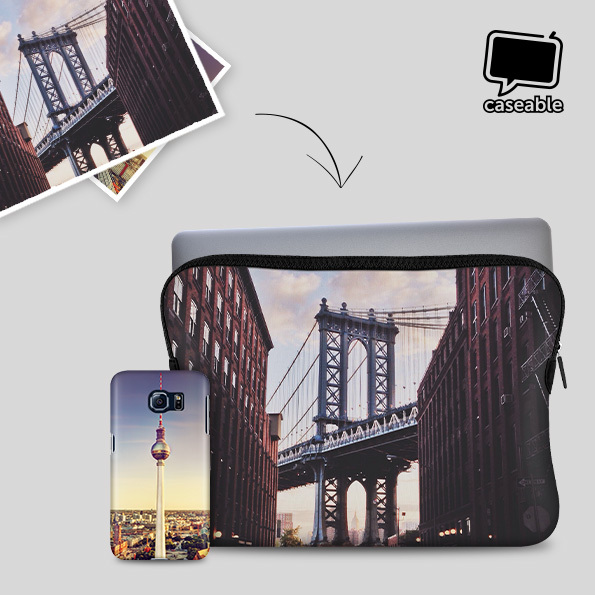 caseable is a hip, urban brand offering the best designs for all your case needs. Options for cases include all popular models, as well as harder-to find devices. Find the perfect cover for your phone, tablet, or laptop. Every case is made to order, utilizing an innovative Heat Sublimation printing process to ensure bright, stead-fast colors and crisp, clean lines. You won’t be disappointed when shopping for a cool, new design for your case. With dozens of artists and hundreds of designs, you’ll be hard-pressed to decide on just one to get! The team at caseable has curated collections with the top designs, making it easy to find something that suits your look. If you’re still looking for the perfect design for yourself, why not create your own? caseable makes it easy with our Online Design tool. Simply upload your favorite images – use your own photos or personal designs – and utilize the collage function for multiple images on one case. After you’ve picked your images, use the filters and add text for an extra personal touch!